A new pattern: the Lila dress! Do you know Sylvia from Lily & Woody? I met her the first time at one of my very first workshops ever. This was her first baby Louisa dress that we graded together to a smaller size about 2 years ago! In October she send me a super sweet email. ‘I have a crazy proposal she wrote to me. I would love to grade my own jersey dress pattern to more sizes and would love to do this together with you. Do you feel like launching a pattern together?’ This is what I wrote back to her: my enthusiasm says YES, my planning says NO. ;) I was developing the Louisa for women in this period, so you can imagine that my days were kind of overloaded already. But after sewing 7 Louisa muslins I did want a 2nd challenge. Hmmm….. So we planned a first little meeting one week later and after a couple of hours it was decided: every Thursday we would work on the Lila dress pattern! Sylvia could ‘convince’ me easily because it’s difficult to find beautiful jersey baby dress sewing patterns. I couldn’t believe it in the beginning, but she’s absolutely right! I drew the Lila pattern from scratch. Based on the Compagnie M. sizing chart. A new chart in fact as the pattern includes 7 new sizes. From newborn till 2yo. Sylvia and I made about 10 Lila creations in total to end up with perfect instruction pictures with 5 totally different models in total! You’ll see more pictures of our co-project this week and next week. On the 4th of January we’ll launch the pattern together. As a PDF and on paper. The pattern includes many many options that we will reveal soon! What I can already tell you: the dress is super comfy and easy to sew. It included no zippers. You can easily pull this dress over your baby’s head. It will include several bodice and skirt options. Of course we added some pockets too. No Compagnie M. pattern without pockets. 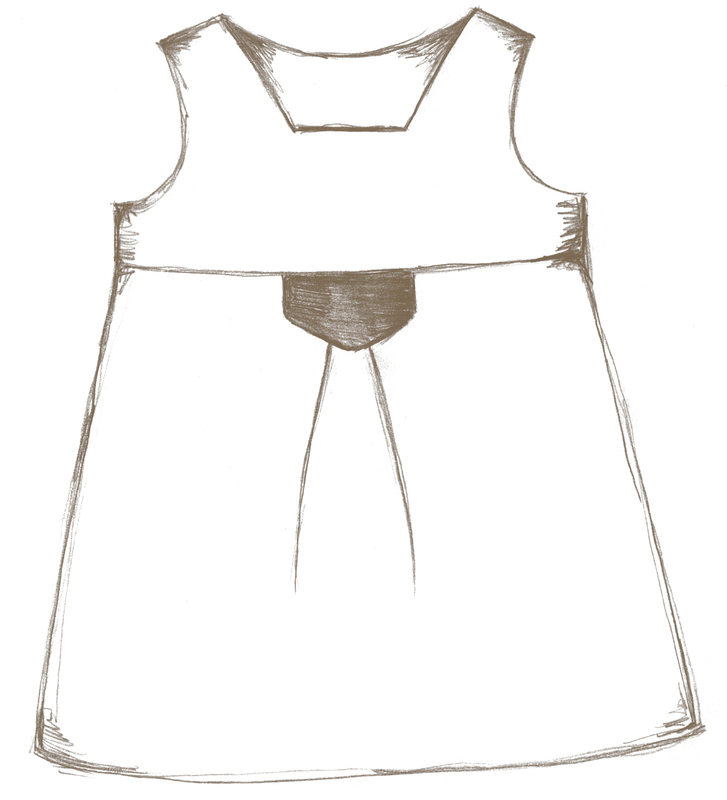 And last but not least we drew a harem jumpsuit. Not a regular bodysuit, but a baggy version. One that is super cute on girls and boys! Sylvia: I would like to thank you for the great cooperation and of course for asking me for this project in the first place!! I never ever worked together with some one else for Compagnie M. (except with Bjorn of course)and I love a new vibe. Working together with you is just great. We didn’t need a lot of works to understand each other. I loved every stages of the development process: drawing the basic pattern together & adding my own interpretation, which was more difficult then I thought it would be as I always start designing my own patterns from scratch. I enjoyed picking all the fabrics together, working really hard every Thursday. It was a rush sometimes, but one with a great vibe. I even enjoyed our fast lunches, sitting at my daughter’s school bank! Hihi. Now I can take ‘working together with Sylvia’ off the agenda, as the pattern is ready. But I’m sure we’ll miss you! En wat een superpatroon hebben jullie er van gemaakt! Ik ben fan! Ik ben al geruime tijd uit de baby’s maar kijk uit naar alle hoogstwaarschijnlijk prachtige versies die ik komende deze week mag aanschouwen. Dat klinkt als het perfecte kraamcadeautjes-patroon! Ik ga onze donderdagen ook missen! Het was een fijn avontuur en ben heel trots op ons patroontje! Ik ook ik ook. Snif! Het is nog steeds een fijn avontuur. Zeker nu we de resultaten mogen tonen. Ik kijk uit naar de lancering. Hoi, wij kochten dit super leuke patroontje gisteren in de winkel; Op het patroontje staat dat we de geïllustreerde instructies kunnen downloaden met de couponcode; maar op de verpakking noch het kaartje erbij kunnen we die code vinden. Kan u ons meer info geven hoe we dit moeten doen? Hebben jullie een maattabel welke maat correspondeert met de leeftijdmaat van dit patroon? Mijn dochter is klein voor haar leeftijd (nu maat 74) en heb geen idee welke maat ik nu moet maken!